Independent bottler Douglas Laing & Co. has released a 10-year-old version of its Highland blended malt Timorous Beastie. The ‘special edition’ is a blend of single malts from across the Highlands, aged for at least 10 years and bottled at 46.8% abv. Described as embodying notes of ‘creamy honey, warm buttered toast, gentle spice and a distinct cereal character’, Timorous Beastie 10 Year Old will be available at specialist whisky retailers globally for around £34.99. 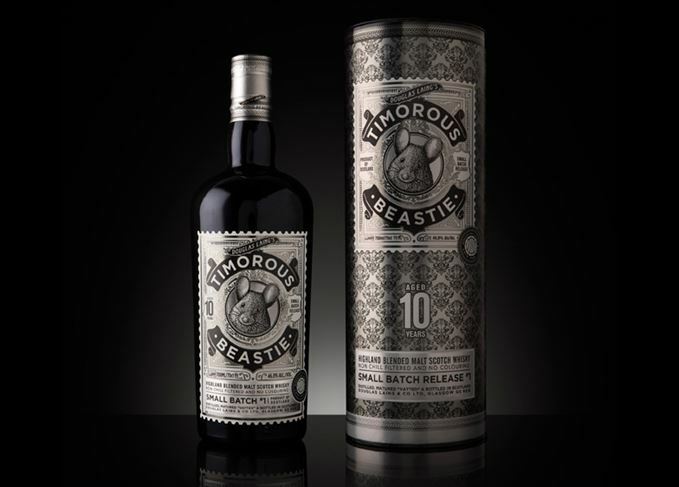 The bottling follows the limited edition launch of Timorous Beastie 18 Year Old in May 2017, and the release of 40- and 21-year-old editions in 2016.